How is your Christian life going? As you look back on your life, can you see how you have changed and been transformed from the time you came to acknowledge that God was God and entered into a relationship with Him? You can? Good! Let God WOW you with Himself as He transforms you in the power of the Holy Spirit who lives within you, into the image of Jesus, the Son of God. Your transformation, however quickly or slowly, is evidence of your relationship with God. Are you aware of that? WOW! As you put into practise what you learn about Him, your life has that God WOW factor about it. As you let God take control of your life, bit by bit, you become less self-absorbed and more God-absorbed and caring about others people. Get God's WOW in your life. Let Him change and transform you. Are you in situations where change is needed? Then instead of wanting to change the situation, change yourself, change your attitude and grasp hold of the God you claim to be your - Father, Son and Holy Spirit! Go into this new week, this new month, knowing you are God's child, that He loves you and wants to transform you greatly. Let your life be a WOW about God- a WOW about God to those that know Him and a WOW about God to those who don't know Him yet. If you need help, ask us at Partakers.co.uk or buy our books at http://www.pulptheology.co.uk and on Amazon sites, which will help your thinking. There is an idea that can be used to explain what Jesus is meaning when he says, “Moreover, the Father judges no one, but has entrusted all judgement to the Son, that all may honour the Son just as they honour the Father. Whoever does not honour the Son does not honor the Father, who sent him.” It is the idea of agency. They, in those days, had a rather stronger idea of what the implications of being an agent were than most of us will have. If we talk to a salesman in a car showroom about buying a car, which of course means much argument about how much it is going to cost us, our discussion will come to the point where the salesman will say something like: ‘I must check that out with my boss’ and go off to do so. He is acting as an agent for the head salesman. If he is doing something more significant than buying a car, perhaps as an ambassador making an agreement about how two countries are to interact, and he is overseas, then he may still say ‘I must check that out with my boss’, who might now be the president or prime minister of his country. He can do that quickly and easily through his mobile phone etc. 100 years ago he could have done much the same thing but more clumsily and much more slowly by sending a telegram down the wires connecting him back to his own country. 200 years ago things would have been very different. He could only communicate with his home country by sending a message by horseman or sailing ship. He would get the answer only weeks later by which time the situation might well have changed beyond recognition. Consequently he would have had to act without that sort of reference back to base. He would have been a true agent acting on his own initiative on behalf of his firm or his country. That is the sort of agent we read about in the Bible. They might say ‘a person’s agent is as himself’. The agent had to take decisions that would need to be supported in full by his boss when he eventually got to hear what they were. If the boss did not support the agent’s decisions he would be a very bad and difficult person and not a good manager. Also any slight to the agent would be considered a slight to the boss. Coming back to John’s gospel we see that Jesus is given full authority as the agent of the Father over the judgements that are to come at the end of the age. Later Jesus talks about, “a messenger is not greater than the one who sent him.” The messenger there is an ‘apostolos’ – the word that we translate as ‘apostle’ which essentially means ‘sent one’ or ‘ambassador’, or we might say: ‘agent’. Jesus was the apostle sent by Father God. We are apostles sent by the Lord to the world around us. What a huge privilege that is, and what a responsibility. How good an agent are you? You can now purchase our Partakers books including Roger's latest - Finding the Way in AD100! As a Christian for over 30 years, I am still taking baby steps in learning about the God we as Christians worship. What a Christian believes about God matters because what you believe about God, ultimately affects how you will behave. I have discovered that as the mind is renewed and transformed, what the mind learns is put into practice, and life is being transformed. Life transformation is a great hope. This hope is an unending hope, which will enable us to endure to the end and run the race of life with God. Learning about what you believe and why, is important is so that you will be able to discern true teaching from the false teaching of heretics and those who want to lead you astray from the truth. Experiences and miracles are important, but to base Christian life upon them, and not on solid biblical doctrine, produces a rollercoaster effect and not the constant reliance on the indwelling Holy Spirit for direction, guidance and trust. 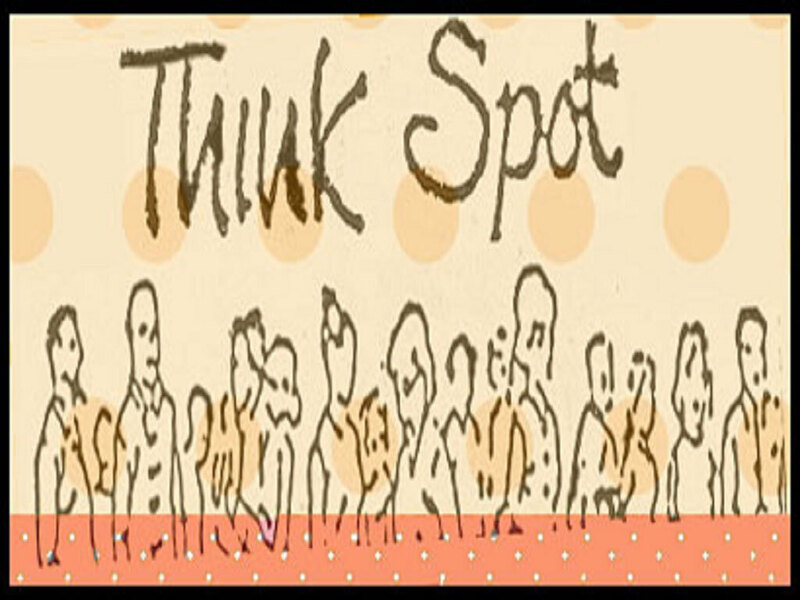 As a starting point check out my own books at http://www.pulptheology.co.uk and on Amazon sites, which will help your thinking. For I am not ashamed of the gospel, because it is the power of God that brings salvation to everyone who believes: first to the Jew, then to the Gentile. For in the gospel the righteousness of God is revealed-a righteousness that is by faith from first to last, just as it is written: "The righteous will live by faith." Paul in this letter is writing to Roman believers a synopsis of his beliefs, and to church leaders in Jerusalem where he would have to make an adequate explanation of himself. The language and concepts shared in these passages are that the Gospel of God is that salvation is for all who believe; righteousness of God; universality of both salvation and judgment; and that salvation and righteousness are available through faith. The adversative "But" in Romans 3:21 heralds the solution, but the text in between these verses highlights humanity's unrighteousness and need of God's righteousness. "All have sinned" (Romans.3:23). Our inherent sinful nature of unrighteousness comes to all mankind from the first rebellion against God by Adam. To be with God eternally we need to be declared righteous, for unrighteousness cannot enter the holy and righteous presence of God. So for humanity, created in God's image (Genesis.1:26) to re-enter God's presence, each person needs to be declared righteous and thereby justified. Justification is the transformation from a condemned criminal to that of an heir awaiting a majestic legacy. If God doesn't punish unrighteousness, then God would have to destroy not only us, but also Himself. Holiness is an absolute attribute of God, which requires the punishment of any impurity or unrighteousness (that is sin), and if unrighteousness remained unpunished, God would cease to be God and we would cease to be human. Ergo, since the first rebellion God has had a Gospel plan to restore righteousness to man. The Gospel is one, which Paul is separated to according to his own words in Romans.1:1. Paul announces it is the power of God for the salvation of all in Romans 1:16. The Gospel is the good news that God has provided the means for rebellious humanity to be rescued from His wrath and judgment. When we think of wrath, it is usually of an uncontrollable rage or temper tantrum. God's wrath does not portray the human weaknesses of vindictiveness, or an uncontrolled pique. We can dismiss such ideas, since due to His forbearance, God's anger and judgment has been smouldering since the first rebellion of Adam and Eve. God's wrath invokes justice (Romans.2:5). There are three meanings to this key phrase of Paul's: "righteousness of God". Firstly, righteousness is an immutable characteristic of God, in that whether it is a righteousness that judges or a righteousness that saves, it is still God's righteousness. Secondly, that His righteousness demands God actively keeps the promises He has made. Thirdly, that His righteousness makes us righteous. So, who needs this righteousness? When we describe God's judgment, similarly there are three aspects to it, all of which give a total and clear picture. For God's judgment to only have one or two of these characteristics, would mean it was not the judgment of a holy God. God's judgment is inescapable, righteous and impartial. God will judge according to what each person has done (Romans.2:6). While we may be justified and declared righteous by faith, we will be judged based on the works we do, to earn rewards. Our faith is to be supported by good works (Galatians.5:6; James.2:18). Paul here shows two destinies. Eternal life, glory, honour, peace and immortality for those who enduringly desire to perform good works (Romans.2:7,10). Juxtaposed to this are the self-indulgent and disobedient who shall incur God's indignation, wrath and righteous judgment (Romans.2:8-9). Gentiles, non-Jews, require this righteousness of God. Unrighteousness is universally endemic as all humankind has rebelled, "fallen short of God's glory" (Romans.3:23) which has been passed down since the original sin in Genesis. Whilst God has given the Jew the Law, how has God revealed Himself to the Gentile? He has revealed Himself and His invisible attributes, fully to all humanity through their individual conscience (Romans.1:19) and His creation (Romans.1:20). In Christ, God has now revealed Himself fully in visible form (Colossians.1:15-17) so that humanity has even less of an excuse not to worship God, follow Him and be obedient to Him. Whether it is through ignorance they did not glorify Him (Romans.1:21); through foolish wisdom (Romans.1:22) or self-indulgence (Romans.1:25); God allowed man free will and gave them over to their desires (Romans.1:26, 28). This is viewed in non-heterosexual practices (Romans.1:26-27) being viewed as an abasement and denial of God. It is noticeable also through idolatrous attitudes and actions. Humanity began as creations' pinnacle but ended up beneath creation when man started worshipping creation instead of the Creator (Romans.1:23). Gentiles are without excuse (Romans.1:20) and their actions decree their eternal destiny. Having suppressed God, God thereby debased man's mind to all kinds of wickedness (Romans.1:28) so that humankinds temporal pleasure may be appeased, and of which, are still in evidence today. Jews had the Law and boasted in it (Romans.2:23). However, possession of the Law was of no consequence to God and Paul claims it is practicing the Law, which matters. Their religion was an external action but not an internal attitude. Jesus' regular denunciation of the Pharisees reflects this. 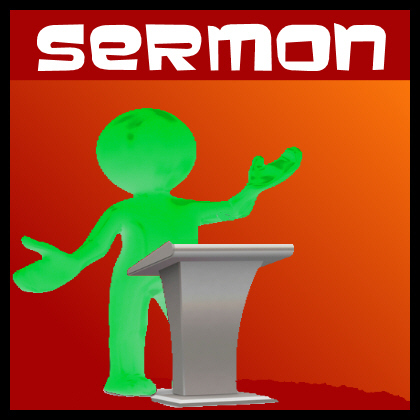 Adultery, robbery and idolatry (Romans.2:21) were perfectly possible for a Jew to commit secretly according to the Sermon on the Mount. Instead of being God's light to the nations, Jews were dishonouring God (Romans.2:24; Isaiah.52:5). Packer in his book "Knowing God" reflects: "The Law cannot save us, for its only effect is to stimulate sin and shows us how far short we fall from God's righteousness." If not the Law, then surely through circumcision a Jew will be declared righteous! After all, the circumcision is the mark of God's covenant with Israel (Genesis.17). Again, Paul says no. Circumcision avails nothing if the Law is not kept (Romans.2:25). An uncircumcised Gentile who keeps the law is more acceptable to God than a circumcised Jew who breaks the Law. A Jew is one who inwardly experiences God, not one who exhibits external worship alone (Romans.2:28-29). Paul continues. All humanity has rebelled against God, both Jew and Gentile. Paul cites Old Testament verses to back his claims that all men are unrighteous before God's wrath (Romans.3:10-18). There are no excuses. Just like the excuses we come up for when caught speeding in our cars. All people are under God's wrath and are therefore condemned. This wrath, Carson writes is brough forth by universal human wickedness". We are in need both of rescue and to be justified before God. Paul, continuing with the adversative "But now" (Romans.3:21), explains that God has also provided us with a righteousness that is available immediately so that we may be saved from His wrath. The Law as we have seen condemns any who do not keep it. Yet combined with the Prophets, the Law bears witness to this righteousness. How do we achieve this justification? Faith, succinctly described by JI Packer in "Knowing God", reminds us, "is a self-abandoning trust in the person and work of Jesus." By exhibiting faith in Jesus, as it is due to him, we have been declared righteous and have a legal status of being justified, if we choose it. Can we earn it? We have seen how both Gentile and Jew have failed in trying to achieve salvation (Romans.3:23). Nevertheless, we need to believe in order to receive the righteousness we have asked for. This grace (Romans.3:24) declares believers "righteous at the beginning of their course, not at the end of it". This gift, which is free, enables believers to be justified through the act of redemption (Romans.3:24). 5b. God's Wrath Propitiated through Redemption. Redemption implies ransom. It is the purchase of a slave, simply to set that slave free. It involves a ransom payment. God's grace pays God's justice on our behalf so that righteousness can be declared. God's grace is the origin of our justification. 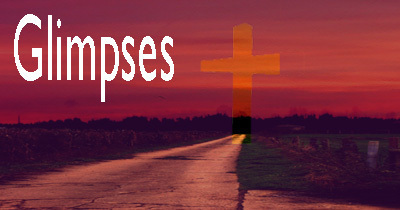 This redemption, results from God the Father presenting Jesus Christ as a sacrifice to appease His wrath. Our redemption involved the death of Jesus as our payment. God's righteous wrath now averted and appeased through this act of propitiation, means we are therefore liberated as a demonstration of His righteousness (Romans.3:25-26). All humanity are slaves or prisoners to sin (Romans.3:9), and it is from this slavery the Gospel declares we have been delivered. The full consequences of this redemption will not be experienced until we have overcome and persevered to gain our eternal inheritance (Romans.8:23-25). Is there any difference today? People are still blasé and ignorant of God, having suppressed the truth. People still declare that the existance of God cannot be proven by rational science and advanced knowledge. People are still both hypercritical of others and therefore hypocrites. It is to this world, we are to apply our theology. This gospel of salvation, which justifies us in order to declare us righteous, thus sparing us from God's condemnatory wrath, is the one we are to use to spread the good news, that God's righteousness is free by faith, to all who humble themselves, admit their guilt and ‘lost-ness' and ask God for forgiveness. For those who would already call themselves a Christian, you are to tell others about this salvation and you are to serve Him, where ever you are and where ever you go! Jesus is the one you are following and its on His terms alone that you are His disciple. If you view Him as a superhero, somebody who you call upon only when you need something or even as your boyfriend, then beware: Jesus will not be mocked - He wants all aspects of your life to be submitted to Him! Dietrich Bonhoeffer, the German pastor who defied Hitler, wrote these words "When Jesus Christ calls a man, he bids him come and die. Discipleship is not an offer that man makes to Jesus Christ, nor is it hero worship, but intimacy with Christ." Want to be intimate with Jesus Christ? Worship him alone and exhibit your faith to all you come into contact with! Too often Christians and churches side with the rights of the powerful and elite, while forgetting the poor, oppressed and marginalised. Too often Christians and churches neglect to feed the hungry, seek justice for the oppressed and help the poor. There are enough Christians and churches in the UK to make significant positive change to their local communities. Too often Christians sit around on their backsides discussing good theology while in that same community people die of loneliness & neglect. You say you have faith in Jesus Christ and are dedicated to Him! Good! Then show it and this community will be transformed to the glory and praise of Jesus Christ! Go tell somebody this good news of Jesus Christ. Won't you go tell somebody this very day, this week, this message of salvation? Salvation, as a free gift and available to all who ask, because nobody can earn it or buy it. The price has already been paid - by Jesus Christ alone on a Roman cross two thousand years ago. If you ever hear people say that I have died, tell them that is false. Tell them I am now more alive than ever before. For those who would not yet call themselves Christian, you need to bow your knee before Almighty God. If you want to turn to God there is no need for delay. He is ready and willing to take you as His own right now. You only have to ask Him to forgive you and to give you help on the journey ahead. It is a partnership between God and yourself. When you place your faith in Jesus, becoming utterly dependent upon Him, you turn to God. You don't need to do or change anything to become a follower of Jesus! However once you have made that decision, you leave behind your spiritual isolation and rebellion against Him. As you live each day, becoming more involved with Jesus day by day, you will find yourself changing. You will stop doing those things that separated you from Him. You will find yourself doing things that please Jesus and develop your relationship with Him. God asks that you accept his guidance and management of your life. His point of view and His strength become your point of view and your source of strength. You turn your mind, will and heart to Him for all you do. If you want to become a Christian there are three simple steps to follow. Firstly, admit that you have done wrong against God and His ways. Secondly, believe and trust in Jesus. Call on Him, receive, trust, obey and worship Him, recognizing Him for who He is and what He has done. Lastly, confess Jesus as your Lord and Saviour. Once sin has been confessed, and Jesus is believed in and trusted as Saviour, then you are a Christian. Now you are ready as Peter writes in the Bible, "to grow in grace and knowledge of our Lord Jesus Christ." 7 Welcome to the family of God. God has chosen you; Jesus has paid for you and has put His mark within you through His Spirit. Come and talk to one of us after our final hymn! Lets pray. 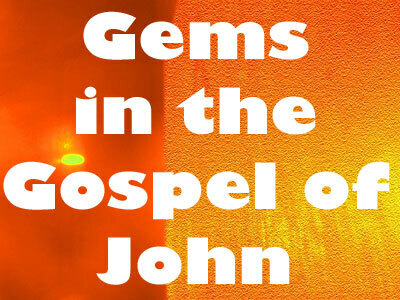 These 2 verses have been described as the only parable in John’s Gospel. Jesus describes himself as an apprentice. I well remember going to get something done to the tyres of my car in Lahore, Pakistan. All the preparatory work for the difficult task requiring the strong hand of a grown man were carried out by a lad, about 12 years old, clearly working at the instruction of the man who was his father. It was no formal apprenticeship but he was clearly learning the trade and would eventually follow his father and take over from him the little business they had under the trees at the side of the road. Here is Jesus describing himself as working under the direction of his Father, except that there is no question here of his hands being weaker than the Father’s or of him having to grow up and take over their joint enterprise. The most basic and important point this episode is making concerns Jesus. He is on a level with the Creator God. He is God’s equal, his co-worker. Yet Jesus was a man walking this earth. This is his answer to the perpetual question: who is Jesus, what was, and is, Jesus. He is the Son of God; he is his working apprentice here on earth. This is where an element of self-knowledge is important. What sort of person are you? Are you good at being a disciple, at sitting at the feet of Scripture, studying, learning, growing in grace and knowledge? Or are you more of the activist type – keen to get out there and do things: help people, evangelize people, work in the church etc. if you can see which sort of person you are (friends are a great help here) go for it – make sure you maximize your gifting. But at the same time be careful not to neglect your weaker aspect. If you are a disciple type, make sure you also do things; work as an apprentice of the greatest tradesman of all times, don’t be one who learns just to hold their knowledge close to their chest. If you are an apprentice type, make sure you also learn the ways of the kingdom; don’t neglect the books, particularly the Bible, so that you do not become merely a do-gooder with most of your activity having only the most tenuous connection with your Christian profession. Be balanced – walk straight – walk the right way – carry a good burden. G'day and welcome to Partake Glimpses Stories. Today we have Lyn McKenze telling us about how God has sustained her! Stephanie Nickel, freelance writer and editor "Suffering in life is common to many people, creating heartbreak and despair. It is my desire that "Love Never Fails You..." will bring encouragement and hope to those who are hurting with life's trials and/or grief. Lynn McKenzie loves to sing a capella (without music) and is a first-time book author with the creation of "Love Never Fails You..." She enjoys writing a daily blog entry in Life with Lynnie. Lynn works as a realtor in Windsor, Ontario, Canada. She has had a varied employment history and has done volunteer work in an effort to help others, including teaching English as a Second Language (ESL). Lynn is a survivor of many life experiences, including divorce, injury, health concerns, family problems and issues, grief and more. During her lifetime, she has learned how to overcome and who to turn to in times of need, and is looking forward to supporting others as an inspirational speaker. 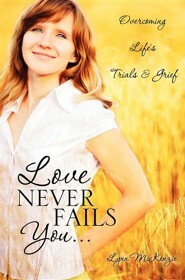 Her book "Love Never Fails" is available on Amazon! As Christians we are commanded to love God and to show that by loving other people - all other people including those who are our enemies. I am sure that you have people that you love, and to whom you say that you love and care for. Good! But please don't assume you know how to show your love and care for them. Ask them how you can show your love and care for them in practise... We are also to love the whole person and to take care of the whole person. We are to care for their whole well-being: their spiritual, physical, emotional, social and mental well-being. How is God love? God is a trinity or tri-unity! That is, God is a living, vibrant and dynamic community of love! Every activity of the Trinity is an expression of love. God loves because that is His very nature. God the Father loves God the Son and God the Holy Spirit. God The Son loves God the Father and God the Holy Spirit. God the Holy Spirit loves both God the Father and God the Son. A perfect community of love. Unfailing - Psalm 119:41 Lord, give me your unfailing love, the salvation that you promised me. Everlasting - Jeremiah 31:3 Long ago the Lord said to Israel: "I have loved you, my people, with an everlasting love. With unfailing love I have drawn you to myself. Intimate - John 14:21 Those who accept my commandments and obey them are the ones who love me. And because they love me, my Father will love them. And I will love them and reveal myself to each of them. Sacrificial - Romans 5:8 But God showed his great love for us by sending Christ to die for us while we were still sinners. Unbreakable - Romans 8:35 Can anything ever separate us from Christ's love? Does it mean he no longer loves us if we have trouble or calamity, or are persecuted, or hungry, or destitute, or in danger, or threatened with death? All-conquering - Romans 8:37 No, despite all these things, overwhelming victory is ours through Christ, who loved us. Personal - Galatians 2:20 My old self has been crucified with Christ. It is no longer I who live, but Christ lives in me. So I live in this earthly body by trusting in the Son of God, who loved me and gave himself for me. Immeasurable - Ephesians 3:18 And may you have the power to understand, as all God's people should, how wide, how long, how high, and how deep his love is. All knowing - Ephesians 3:19 May you experience the love of Christ, though it is too great to understand fully. Then you will be made complete with all the fullness of life and power that comes from God. JI Packer - "God's love is an exercise of His goodness towards individual sinners, whereby having identified Himself with their welfare, He has given His Son to be their Saviour, and now brings them to know and enjoy Him in a personal covenant relationship." It is seen in the love that people have for others. When you hold somebody's hand or give that telephone call just to say hello - that is love.. Even with all the acts of evil in the world, love is all around. You can see it at the arrival halls of airports where family members meet each other. You can see it in the cafes where friends meet for conversation. You can see it as couples get married. Love exists even in the middle of that chaos, turmoil and hatred. Yes there are people filled with hatred and commit acts of unmitigated evil - but even those people have experienced love of some kind despite their not remembering it, being aware of it or even in spite of it! Even if it was the guiding hand of their parents to alert them from danger or the greeting of a close friend. Going further, the love of God is seen when Christians, who proclaim their love of God, love others. Churches are also to be enabling radical love in their communities! Not a love which is impractical but a love which is self-sacrificing! A love mirroring that of Jesus Christ on the Cross. It is by helping supplying the practical needs of others, even to the point when it hurts to give! 1 John 3v16-18 By this we know love, that he laid down his life for us; and we ought to lay down our lives for the brethren. But if any one has the world's goods and sees his brother in need, yet closes his heart against him, how does God's love abide in him? Little children, let us not love in word or speech but in deed and in truth. God's love releases us from the things that entangle our daily walk with Him. The more you hold onto His love, the more you will desire it and the more it will be revealed in your daily life. Your love in action today, reflects God's love in action on the cross. Go and love - to the glory of God! Love not just in words but also in practise! Love all that you come in contact with - practical love showing a loving God in action. By loving others, we help heal this broken world we live in with all its traumas, natural disasters and conflicts. Love.